Quality of Service (QoS) is a tool that comes built into your router to manage the massive amount of data being sent, downloaded, or streamed. QoS in routers evaluate every task and assign it a priority based on the bandwidth available. 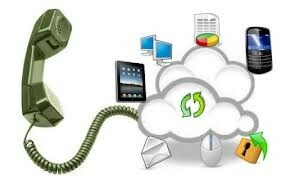 Tasks like VoIP phone calls or video conferences get top priority to ensure no interruptions or lag time. Using your router you can assign priority to the tasks you want. An example is if you are trying to upload a presentation to OneDrive and you are on a company wide VoIP conference call you will want your call to not be interrupted by the OneDrive upload. So you would have the file upload priority to low and the call priority to high. Now the QoS knows how to manage the available bandwidth. There are many setup options available for managing your devices and priority levels so taking the time to set your system up the way you desire is crucial. The newer model QoS have become more automated and come with standard priority lists built in but you will still need to make sure the priorities match your own. Higher end QoS systems even have the capability to know what devices on its network and which ones need less bandwidth. That will mean the guy in the cubicle next to you won’t get to steal all the company’s bandwidth watching the Parks and Rec season finale on his android! Good QoS is essential if you use network to stream video, make VoIP phone calls, and Skype. You may even be able to skip an ISP upgrade with all the benefits you will receive from a good QoS tool. Need help setting up your network system? Call Affordable Telephone for all your small business needs!